Update: We just got word that Jeni & Billy have arranged to have a full band for this show! Joining them will be Craig Eastman (fiddle, lap steel, and mandolin), Dillon O’Brian (keyboards and harmony vocals), Denny Weston Jr. (percussion), David Jackson (bass &accordion), and Dave Way (percussion & guitar), and maybe (if he can resolve schedule conflicts)David Jackson (bass & accordion). The Big Picnic Band will make a great even more exciting! Don’t miss it! Jeni and Billy will be making their second appearance in our series. They put out a new double CD recording last year, Sweet Song Coming ‘Round, which consists of live recordings from their western tour the year before. Now they have a brand new recording, Picnic in the Sky that we are looking forward to hearing. 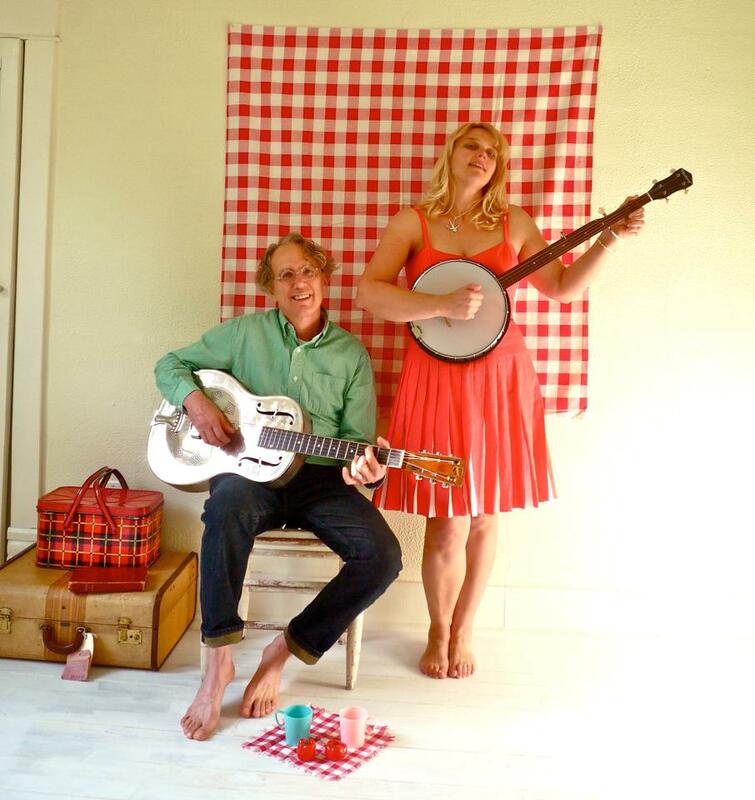 Though they write many of their own songs, this is American roots music at its best. Jeni hails from Jewell Ridge, Virginia, coal country in Appalachia, where she was influenced by church singing and family sing-alongs. She’s also a storyteller and writer who earned a Masters degree in literature and studied under Irish writer, Paul Muldoon. She traces her vocal style to Virginia Lowe, the blind music minister of the Friendly Chapel Church on Smith Ridge, the Appalachian community in which Jeni spent her childhood summers. While her singing has been compared to the lonesome voices of Maybelle Carter and Iris Dement, her writing has been likened to that of Southerners Carson McCullers, Flannery O’Connor, and Lee Smith. Billy Kemp, a Baltimore native, embraced the sound of country music in the nearby community of Oella – the home of Appalachian migrants who came to the city looking for work in the mills. Fired on by dreams of the Grand Ole Opry and his passion for the sound of Flatt & Scruggs, Billy headed to Nashville and toured with country bands all over the US, Canada, Europe, and right onto the stage of the Opry. He went on to become a music instructor and producer of various roots music projects.